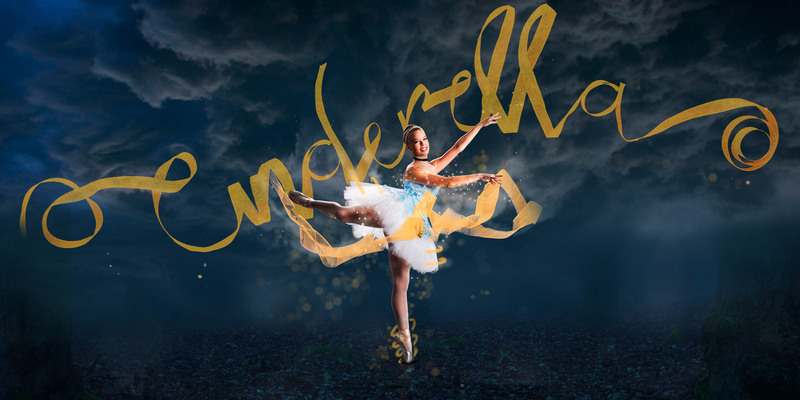 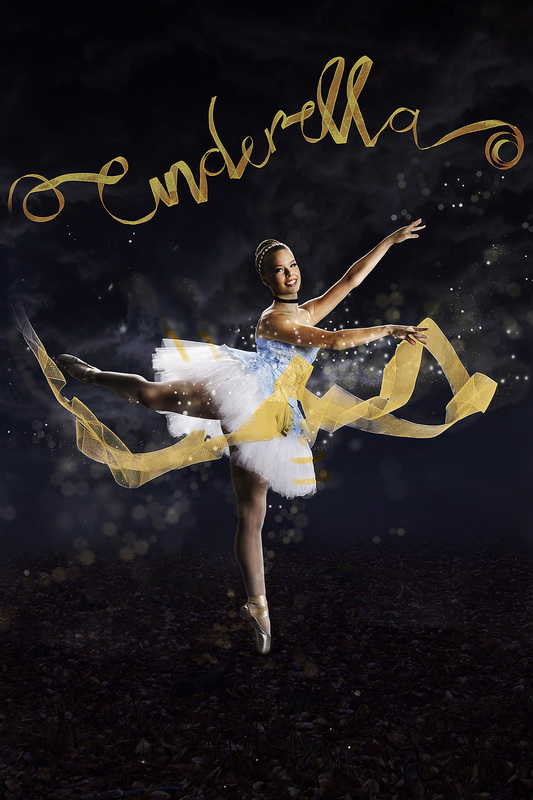 North Dakota Academy of Dance's winter recital for the 2017-2018 season was an all-genres production of Cinderella. 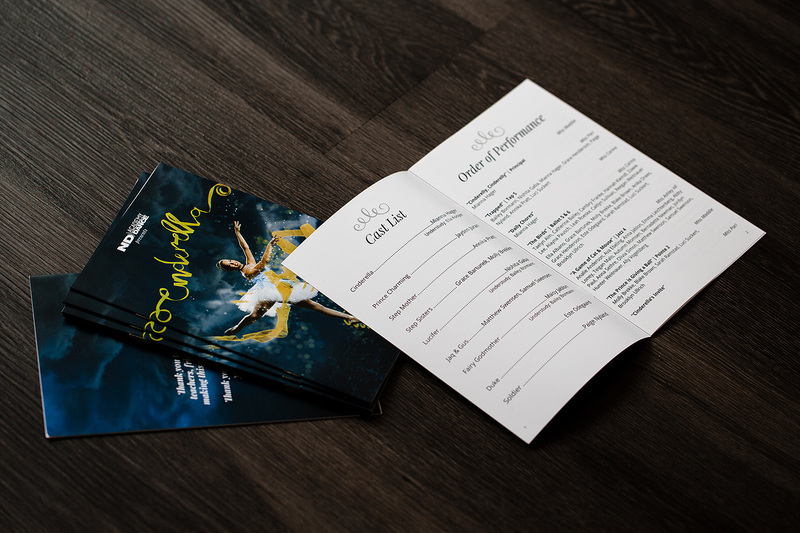 The studio hired Nüpolitan to help promote the show through printed and digital materials. 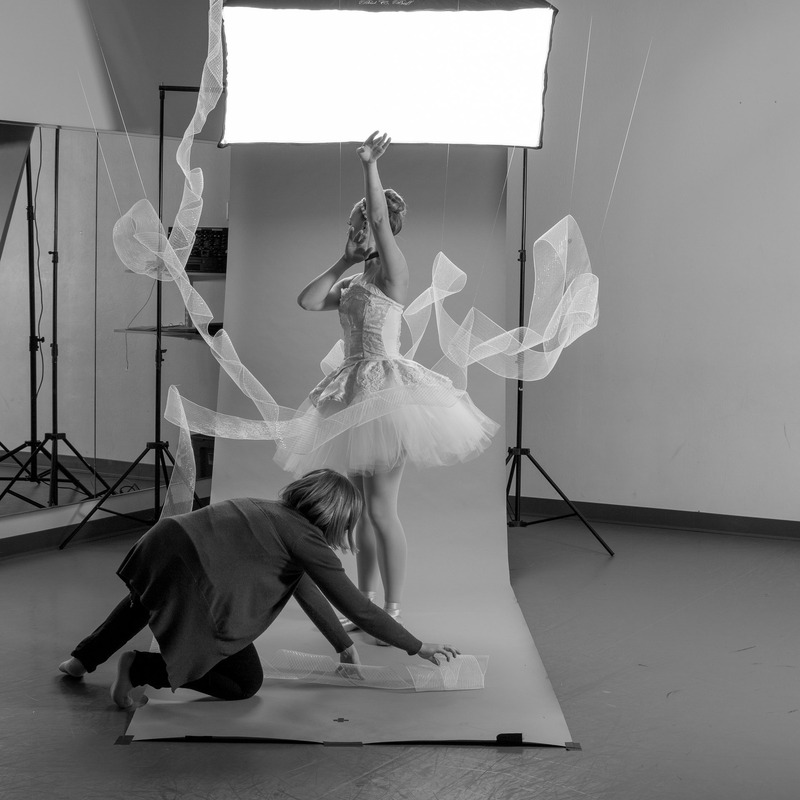 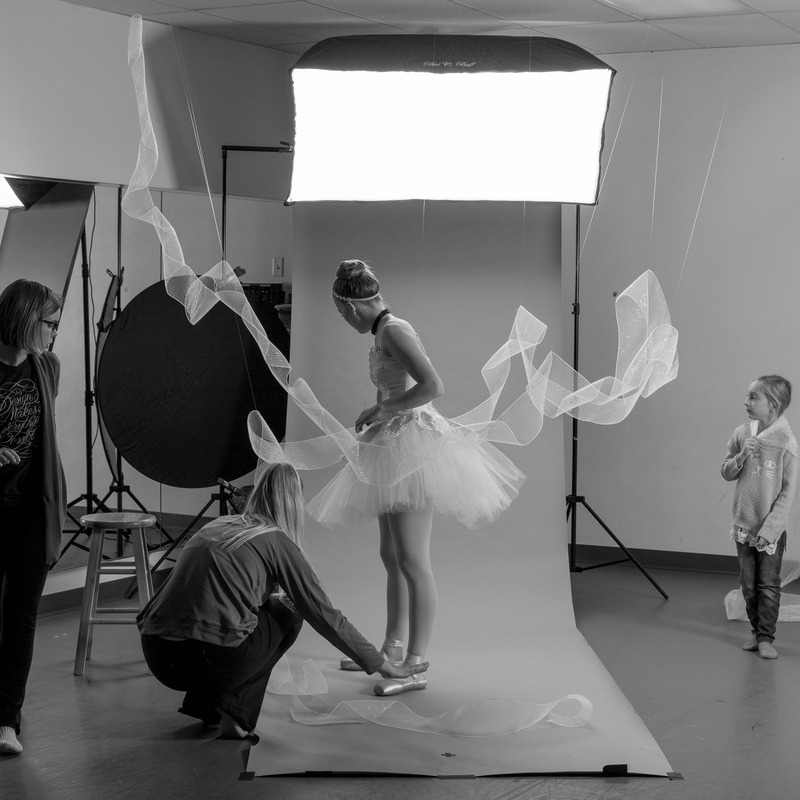 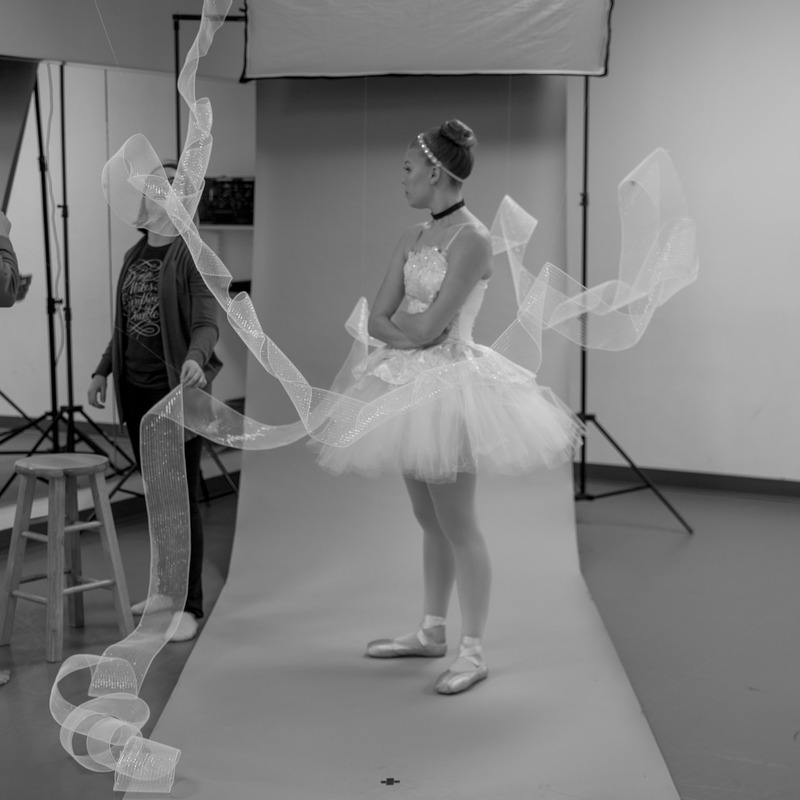 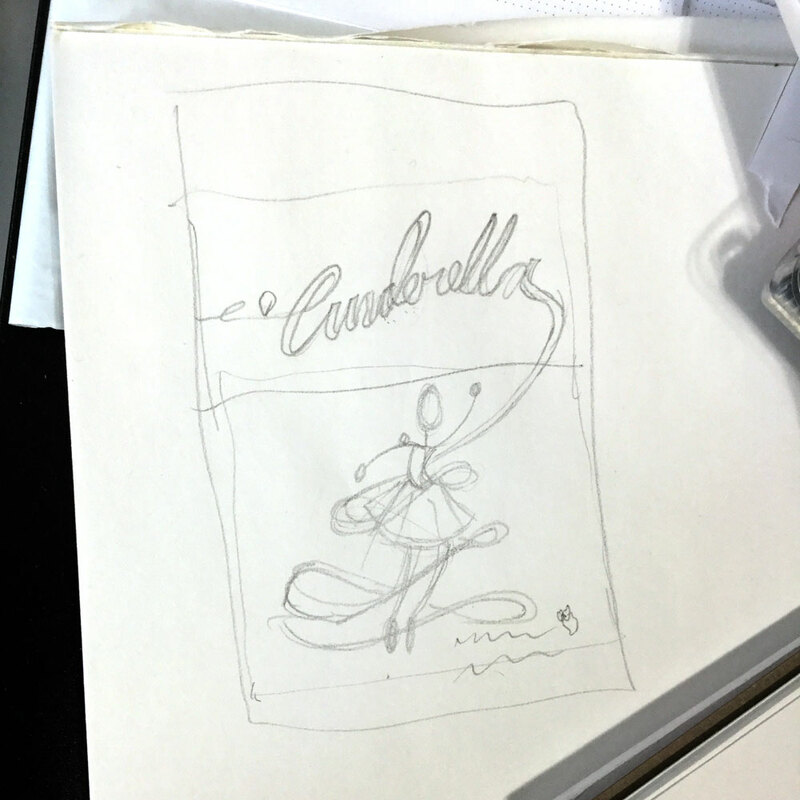 We directed a photo shoot with the show's lead dancer - adding elements made of ribbon for dimension and to elude to the dressmaking portion of the well-known fairytale. 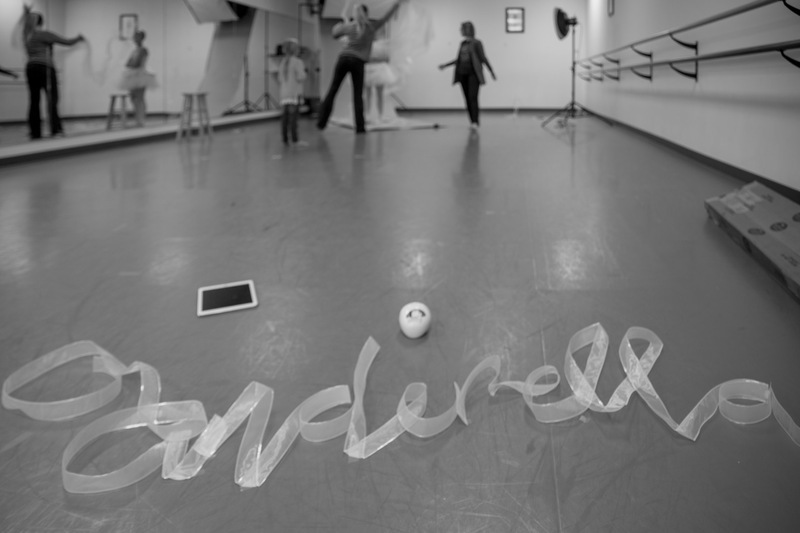 We constructed the title text out of the same ribbon for a whimsical feel. 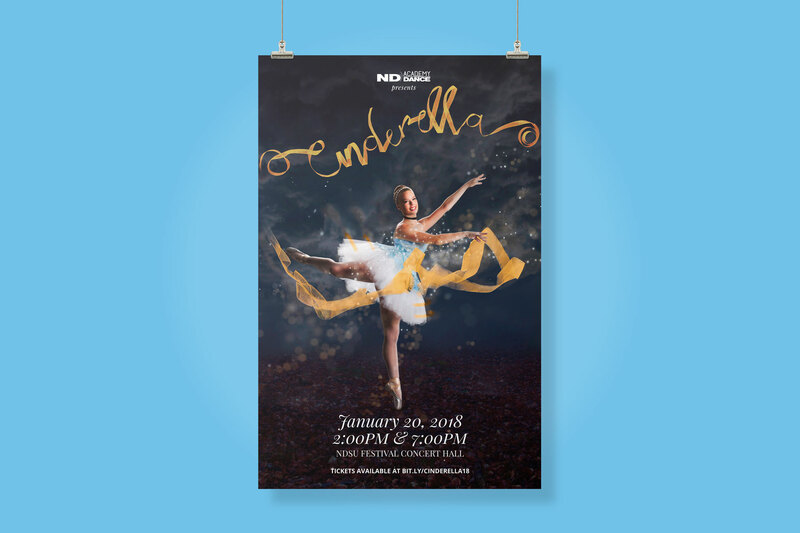 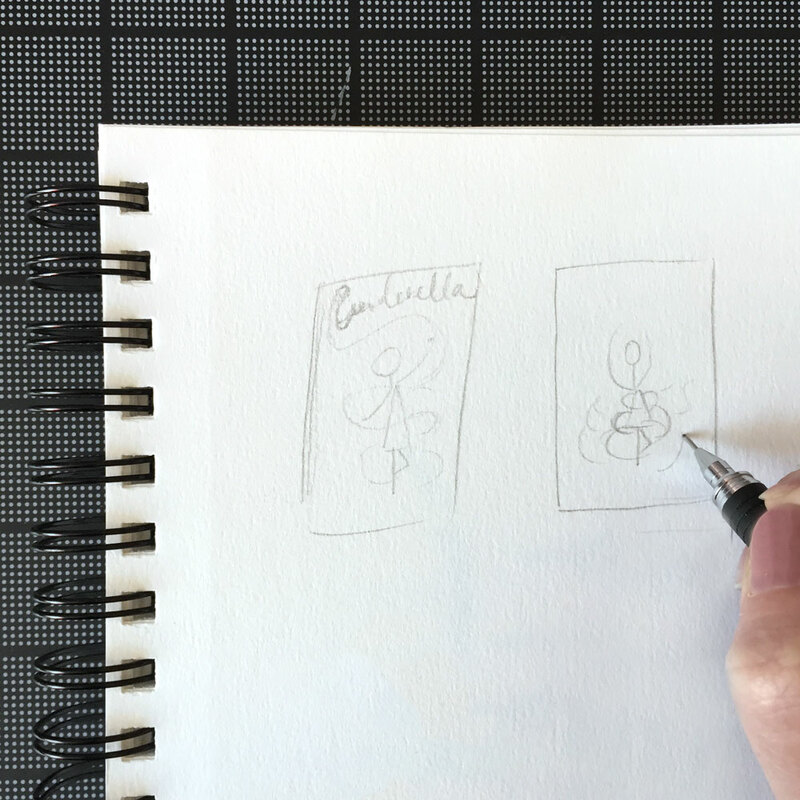 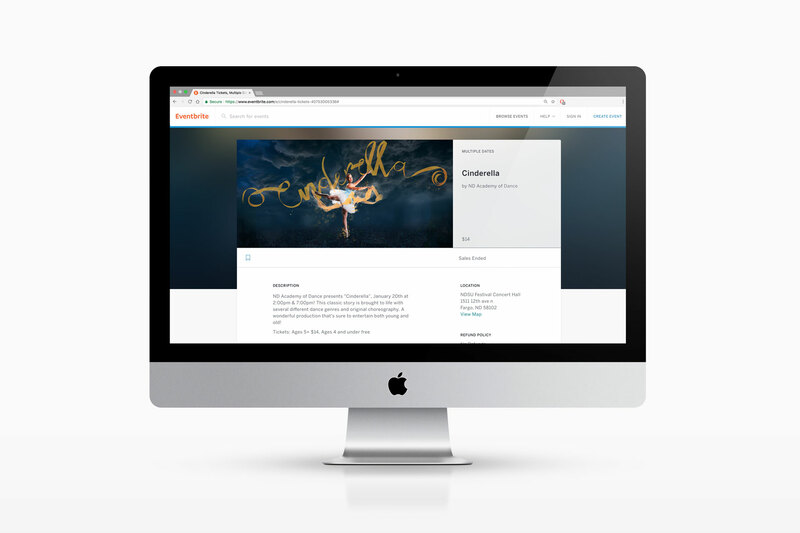 The resulting design was magical, eye-catching, and sure to appeal to audiences of all ages. 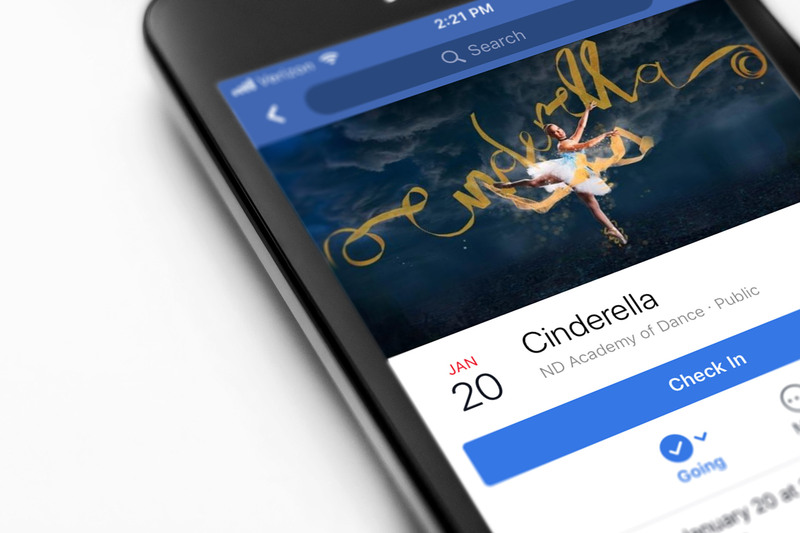 Tickets for the performance were sold through Eventbrite and linked to a Facebook event.